The Federal Reserve engaged in its most recent round of quantitative easing in an effort to help spur the economy, boost jobs and raise inflation (yes, raise inflation) by supplying the market with more liquidity to meet loan demand. The problem is, as we see it at Hennion & Walsh, that there is no demand in the market for more loans. The overall sentiment of the Federal Reserve is appropriate in our opinion though as economic growth is generally led by smaller businesses that need loans to fuel their growth. This growth generally translates into more jobs as small businesses (i.e. 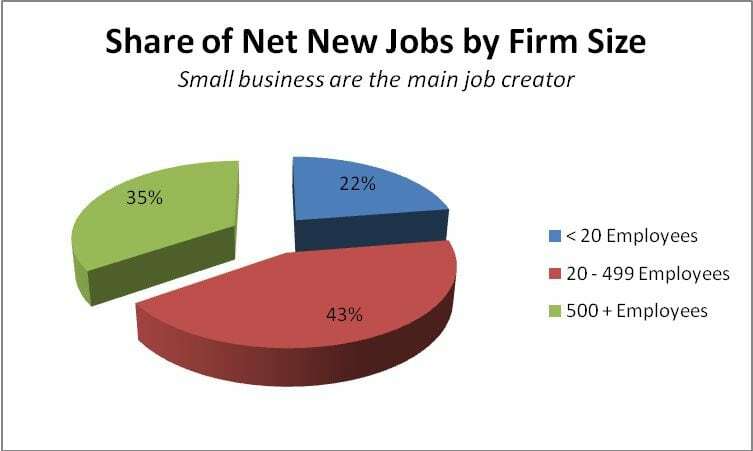 those firms with less than 499 employees) account for over 65% of all new jobs created in the U.S. according to a U.S. Small Business Administration Office of Advocacy report that was issued on March 3, 2010. For small businesses to grow and increase their hiring patterns, they either need to borrow or increase their sales. With the latter being impaired by weak, current consumer spending levels, the small business owner would seemingly be left with a need to apply for more loans. However, small business owners are not looking for more loans. In fact, according to the December 2010 NFIB Small Business Economic Trends report, 91% percent of small businesses reported that all of their credit needs were met or that they were not interested in borrowing (see table below for borrowing needs trend over the last three months). Further, a record 53% indicated that they did not want a loan despite the existing low interest rate environment. The primary concern of the small business owner remains weak sales, not lack of access to credit. These statistics are rather startling when you consider that the Federal Reserve, and the media for the matter, has generally been broadcasting that revised credit standards are too strict and loans are too scarce. For businesses to feel comfortable borrowing again, they need to have increased optimism that the American consumer will return to buy their respective products as they were prior to the Great Recession. This problem cannot be solved solely by increasing the availability of money for lending. It’s a question of demand, not supply.